This sign started off as a plain, chunky wood frame that I purchased at a thrift store. I decided to paint it a creamy, off-white color and distress it to allow the natural wood to show through in places. I created a stencil with my Silhouette Cameo to use to make the design. with black acrylic craft paint. Then I cut a piece of luann board to fit the frame. 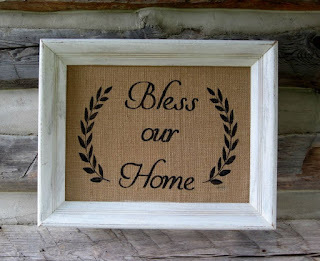 I glued my painted burlap sign onto the luann board with craft spray adhesive glue. and a few small nails. Lastly, I added a saw tooth hanger to the back. 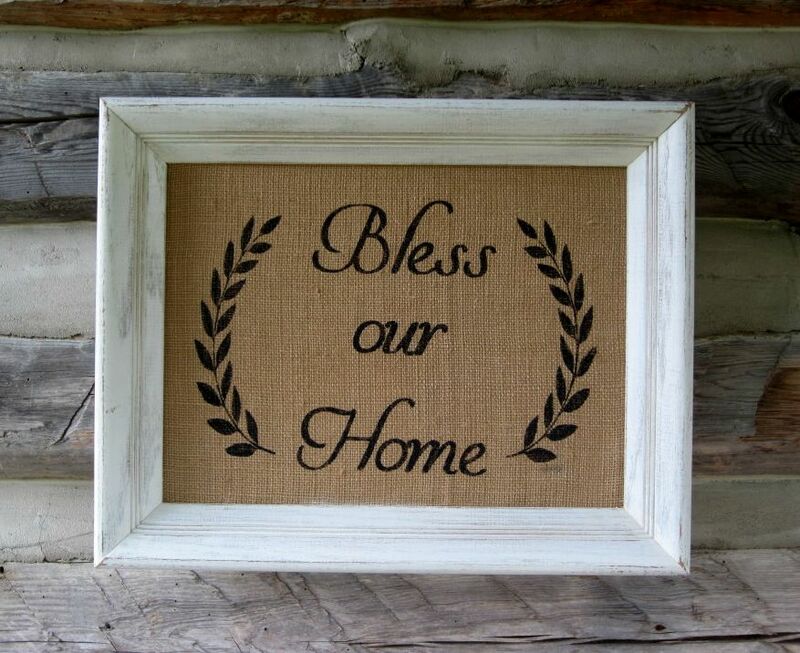 to the rustic feel of the burlap and the distressed wood frame. I seldom pass up an old frame if it has a nice design and it is a good price. You can check out a couple projects that I made with thifted frames here and here. Thanks for stopping by and spending a few minutes of your day here! P.S. - this sign is available in my shop here. Thank you Sherri! Hope you weekend is great too!